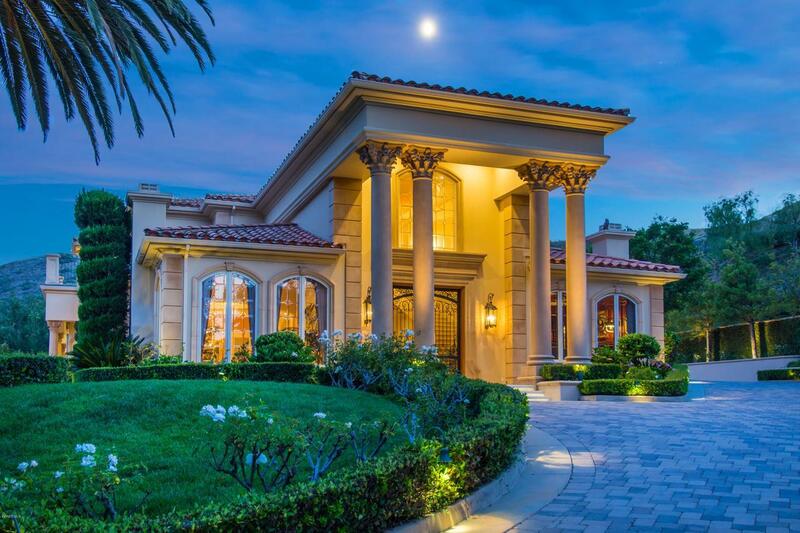 Masterpiece Italian Villa in a prime location of guard gated North Ranch Country Club Estates! 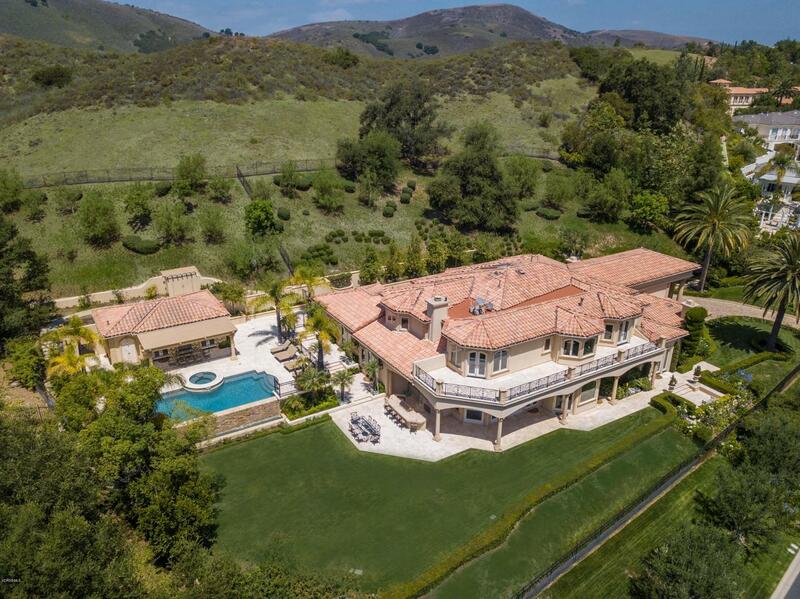 Ideally set above street level behind private gates, is this one of a kind estate with panoramic unobstructed views! Interior features include a dramatic two story entry, state of the art 10 seat theater, cherry wood library and so much more. The spectacular double island kitchen opens to the great room and boasts custom detailed cabinetry and top of the line appliances. The impressive master suite is graced with a sitting area, double sided fireplace and oversized balcony with explosive views. The resort quality grounds are simply remarkable! 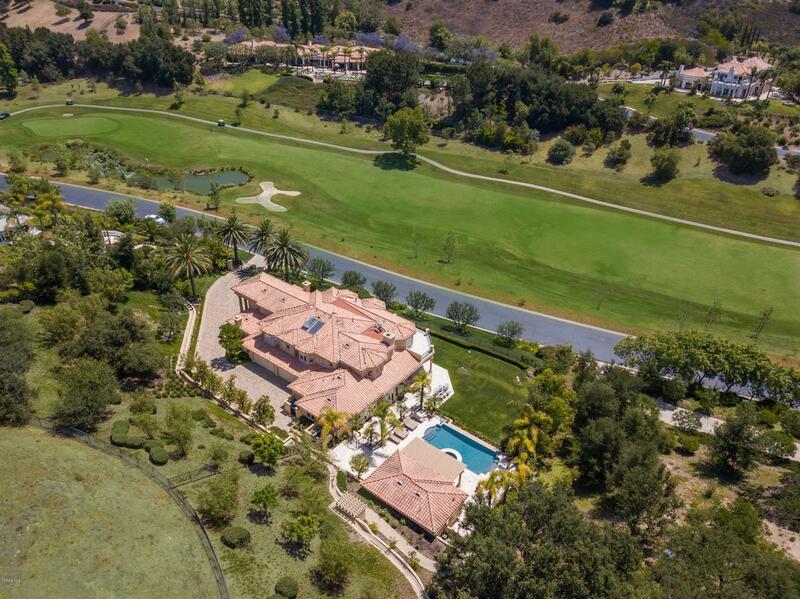 Infinity pool, detached pool/guest house with kitchenette and bathroom, fountains, covered patios, outdoor kitchen/bbq center, massive manicured lawns and truly some of the best fairway and mountain views in North Ranch...all with complete privacy! Other amenities include a temperature controlled wine room, oversized four car garage, Lutron lighting system, security cameras, and a prewired room professionally designed to easily add a beautiful full sized elevator.. 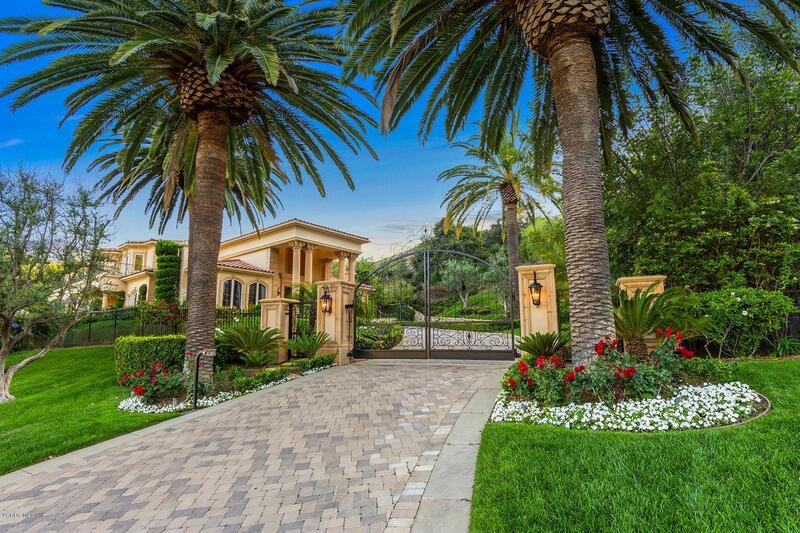 This exquisite home and property was custom built with the absolute finest finishes. A very special offering. Listing provided courtesy of Jordan Cohen DRE#01103362 of Re/Max Olson & Associates Inc..